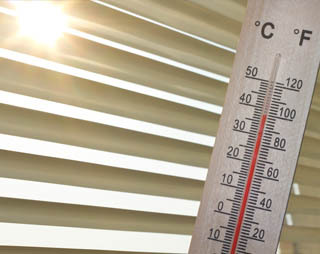 Heat and Glare from the sun through your windows causes discomfort to employees, visitors and customers. The negative effects of the sun can also cause productivity to drop and heighten the risk of accidents. It takes 3 times the energy to cool a space than it does to heat it. 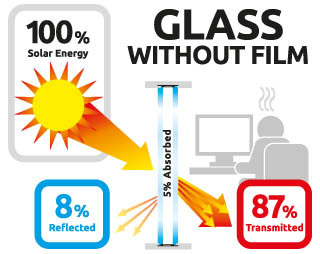 Window film keeps –the heat outside the building – giving you substantial energy savings. 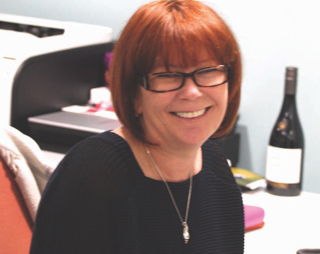 • Research show that productivity drops by 40% at 75ºF, compared to 68ºF. Accidents increase by 30% at 75ºF too. 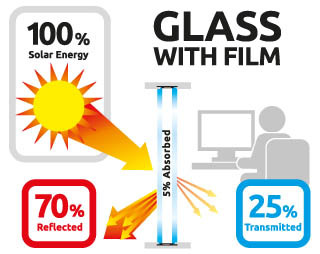 Window film can pay for itself within 2-5 years – and helps lower carbon emissions.